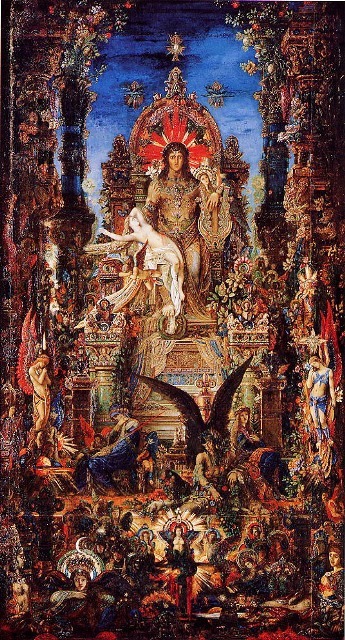 Truly one of Paris’s most singular art galleries, the Gustave Moreau Museum is a tribute and monument to the influential Symbolist artist Gustave Moreau and the chief repository of his fascinating works. Focusing on biblical, literary and mythological themes, the collection encompasses over 14,000 paintings, drawings, watercolors, sculptures, sketches, studies and models, from large to intimately scaled works, displayed exactly as the eccentric artist dictated, covering all the walls of this Beaux-Arts townhouse where he lived and worked throughout the last half of the 19th century. 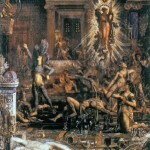 Established and paid for by the artist himself, incorporating both his studio and his home, the rooms are exactly as he left them when he died, unchanged since the museum opened in 1903, preserved as if in amber with Moreau’s furniture and personal effects like his artist’s materials included in the display. Visiting is like traveling back in time to the dawn of the 20th century and being invited into an important artist’s private atelier. 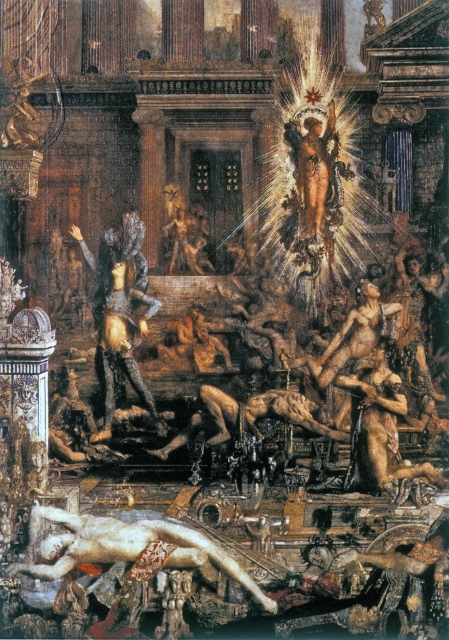 Creating enigmatic, ethereal and mystical works, Moreau tread his own path during an era when Realism and then Impressionsim were ascendant, answering to his own dreamy muse, paving the way for the Surrealists of the 1920’s who revered him. 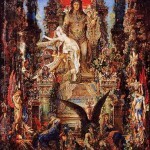 Masterpieces on view include “The Apparition”, “Jupiter and Semele”, “The Life of Humanity”, “The Pretenders” and “Salomé”, all works that define the unique enchantment characteristic in Moreau’s art. Also fascinating is the grouping of watercolors displayed on a rotating contraption designed by Moreau himself that creates a whirlwind of colors, as are the thousands of drawings on display in cases with movable panels, much of it insightful preparatory work for his major paintings. Conclude your visit with a tour of the study complete with a collection of rare books and precious objects Moreau amassed and used as inspiration. Open Monday, Wednesday and Thursday from 10 a.m. to 12:45 p.m. and 2 p.m. to 5:15 p.m.
Open on Friday, Saturday and Sunday from 10 a.m. to 5:15 p.m.
€5 for an adult ticket. €3 for reduced price ticket (60 and over). No online ticketing currently available. Purchase tickets at the museum box office.